San Diego Coastkeeper protects and restores fishable, swimmable, drinkable water in San Diego County. The San Diego Coastkeeper collection helps raise funds for these critical environmental projects throughout San Diego. 50% of all purchases within this collection goes directly towards San Diego Coastkeeper. White on natural or painted leather, with leather tie string. One size fits all. Tie string can be pulled to adjust size. 1/2" W x 1.5"L with slight differences due to the nature of upcycling. 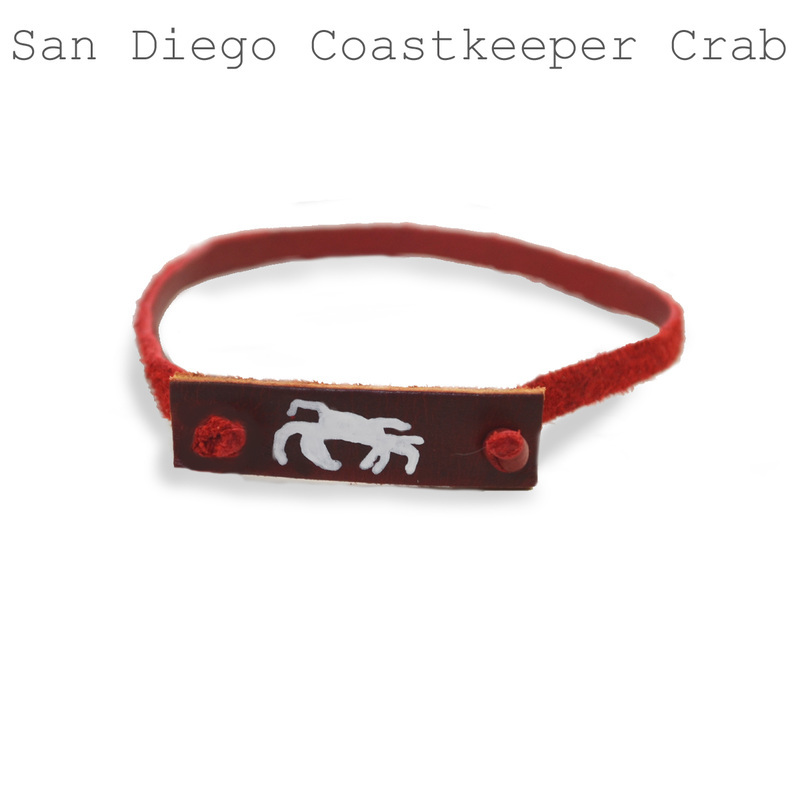 See more designs in our store while still supporting San Diego Coastkeeper. 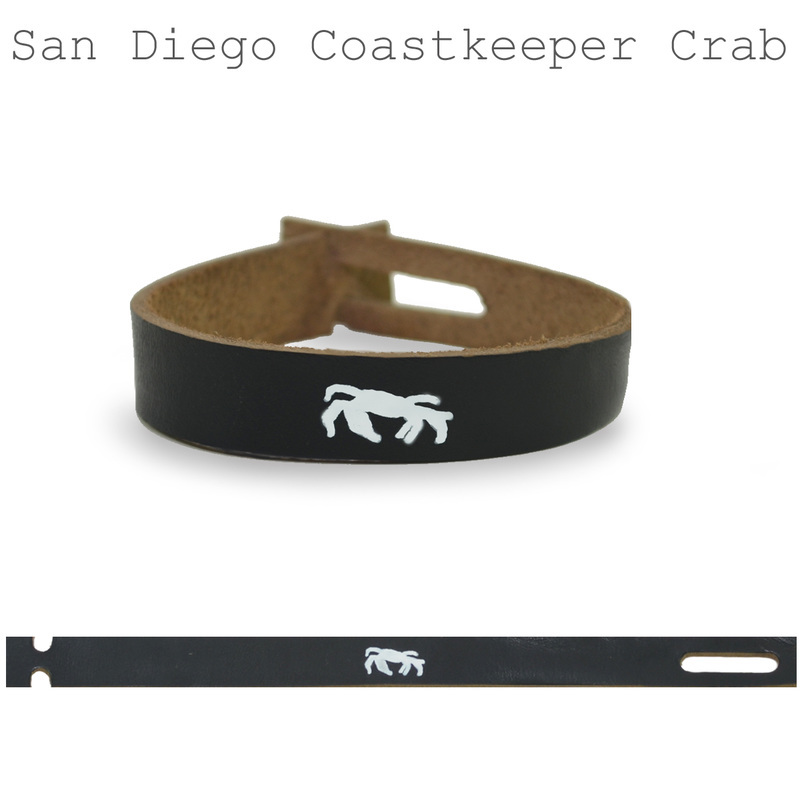 We'll give 10% of your purchase back to San Diego Coastkeeper when you mention them at checkout.